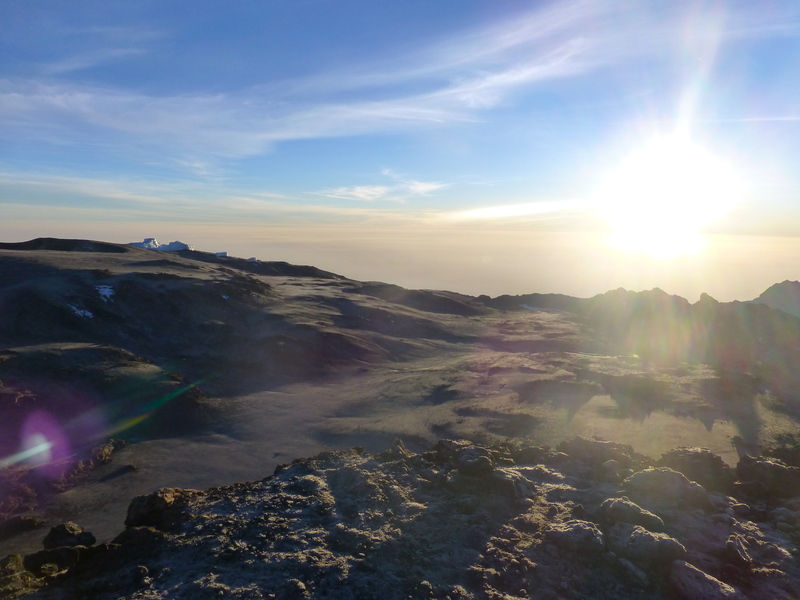 The crucial moment of my Kilimanjaro climb had finally arrived: conquering Uhuru Peak. After only two hours sleep, we were woken at 11pm Friday night to have, um, breakfast. A combination of nerves and altitude meant that most of us struggled to eat the milky porridge. So I settled for a cup of tea and three ginger biscuits. Filled with a mixture of dread and excited anticipation (mainly dread) we prepared for the journey ahead. For me, this consisted of putting on every single piece of clothing I had with me and listening to some motivational tunes on my iPod. 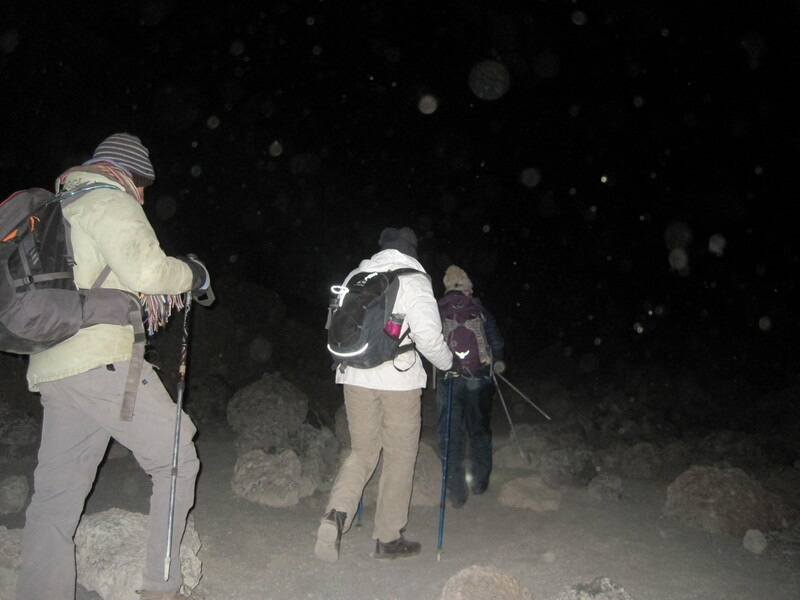 We set off at midnight in total darkness and in temperatures of -20 degrees celsius. Worst night of my life!!! Freezing. Could not drink; water froze. Could not eat; food froze. Headaches and sickness felt by all. No oxygen to breathe… just horrific! Evidently, it wasn’t the most enjoyable journey and I promise you the intention is not to put you off. After six and a half hours of walking ‘pole-pole’ (very slowly – standing still was enough to make you breathless), we reached the peak. I swear I must have been sleep-walking for part of it because I can honestly say that it only felt like a couple of hours. Or perhaps my brain chose to block it out. Guess I’ll never know! 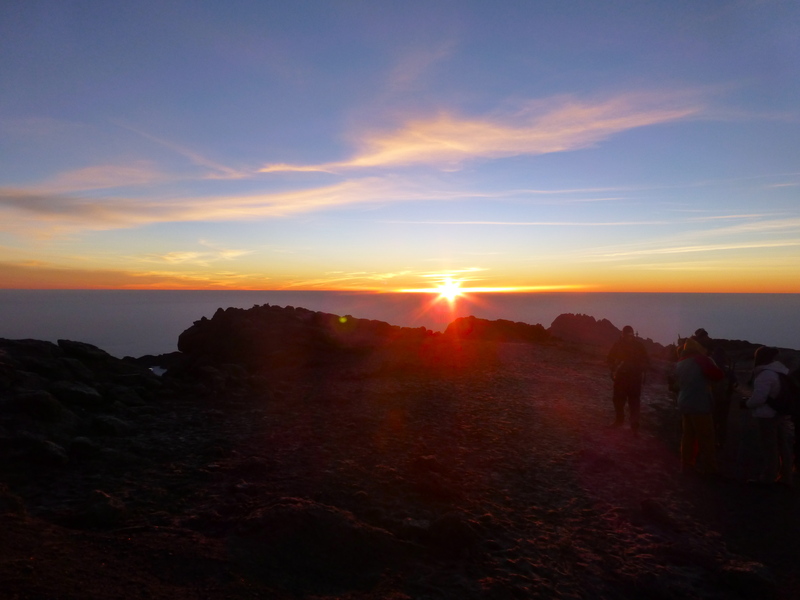 Watching the sunrise from the summit of Kilimanjaro has got to be the most emotional and amazing experience of my life. 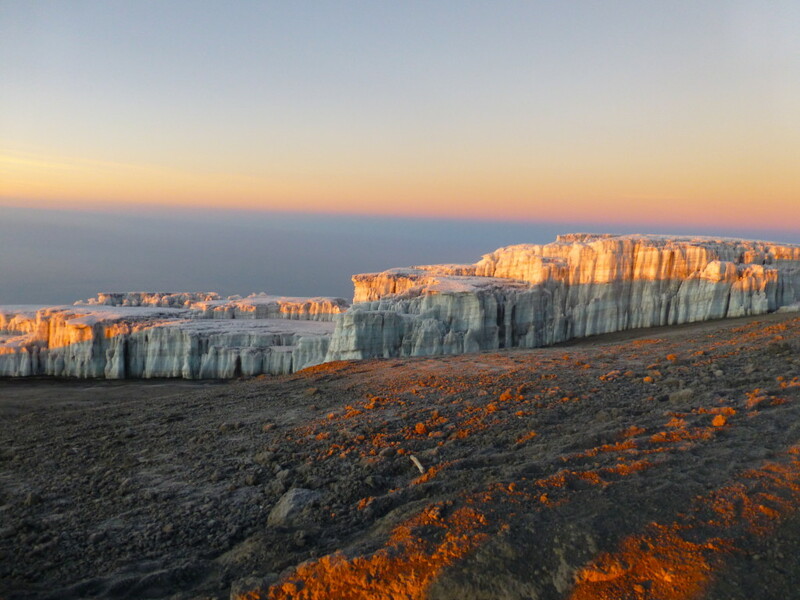 Incredible views of stunning glaciers and the immense crater. Our guide put his arm around me and said, ‘You are so strong, strong as a lion’. I don’t think I’ll ever forget that. I think the pictures can do the talking now. 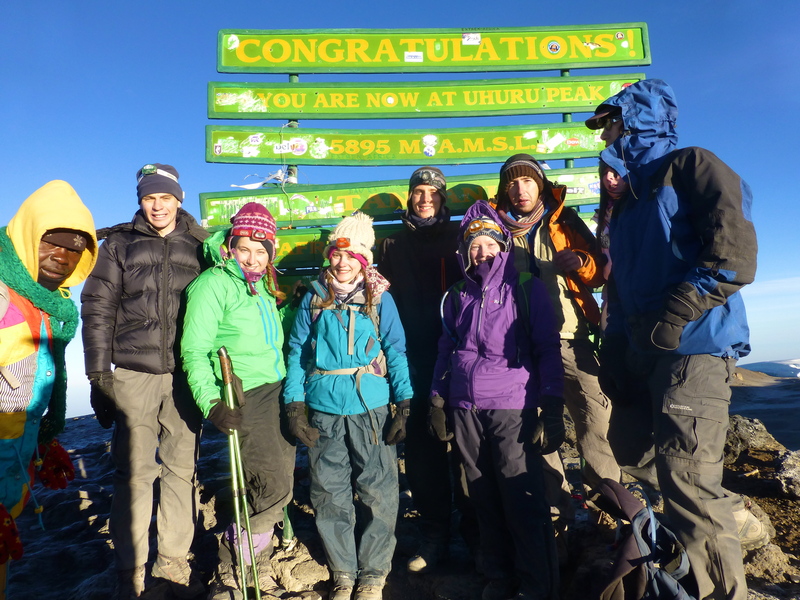 After taking our photos at Uhuru Peak we quickly descended as a few members of the group were a bit worse for wear due to the extreme altitude. For the descent, which was considerably painful, we had to literally ski down, sliding our feet down the scree. 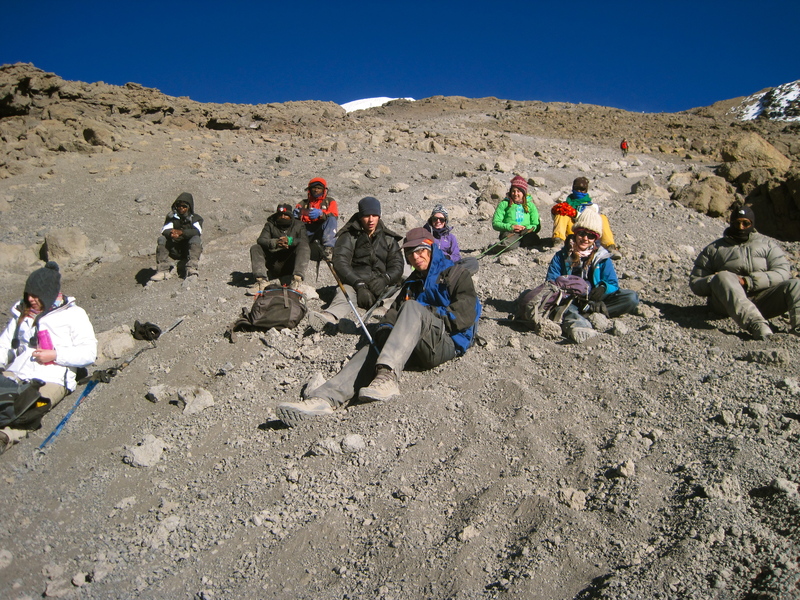 Eventually we arrived back to base camp at 9am to get some well deserved sleep. Unfortunately, I still didn’t sleep but this time it was because the tents were so hot… There’s no pleasing me! We had lunch at 12.30pm then started the next part of the descent. Finally, we arrived at Mweka camp at 5pm. That night I slept like a baby. 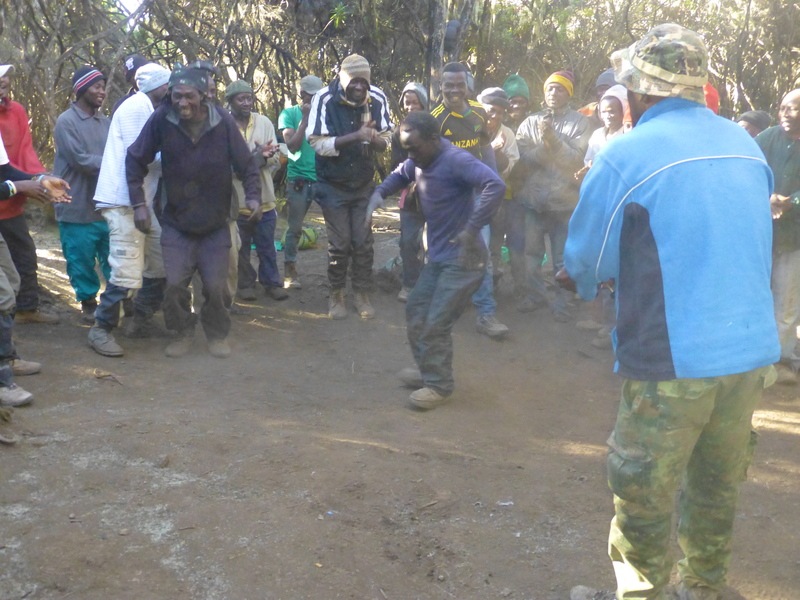 The next morning we sang and danced with all the porters and guides to celebrate our achievement. 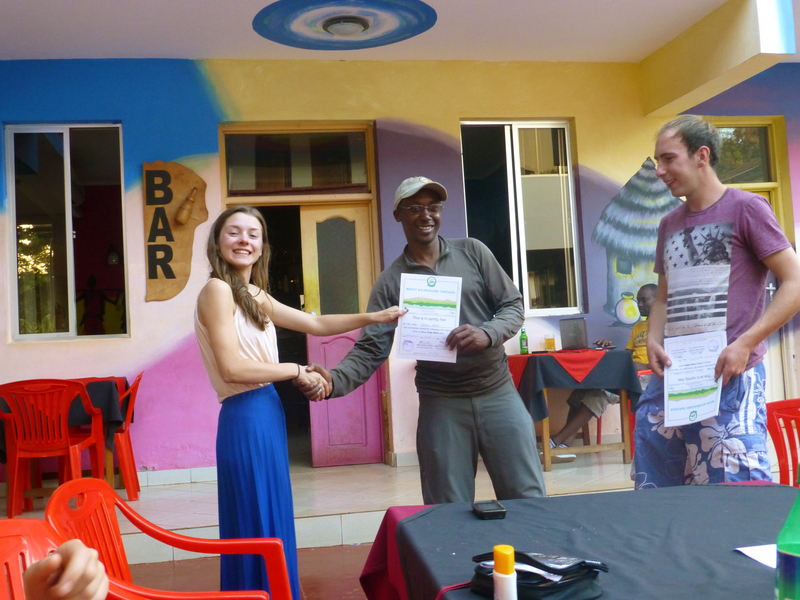 On Sunday afternoon we arrived back at our accommodation in Moshi where we were given our certificates. 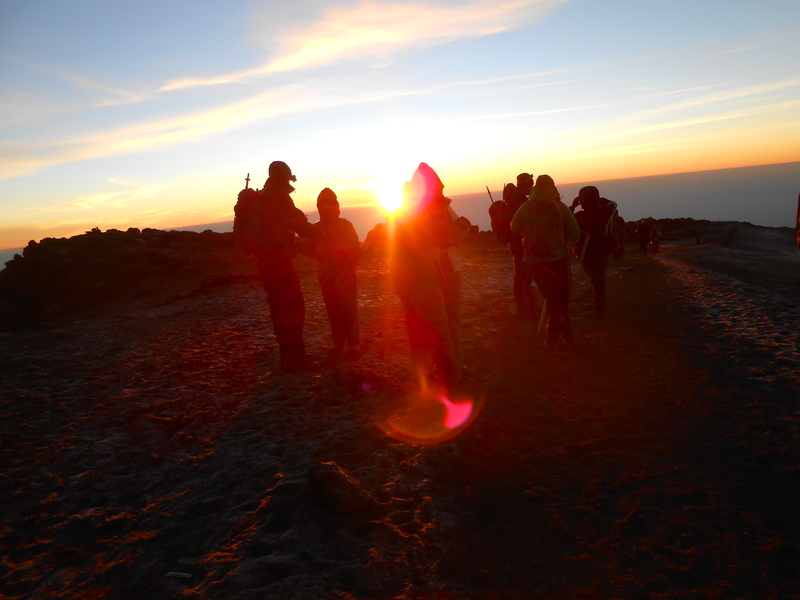 Climbing Kilimanjaro was an experience that I will never, ever forget. I hope you’ve enjoyed reading about it! 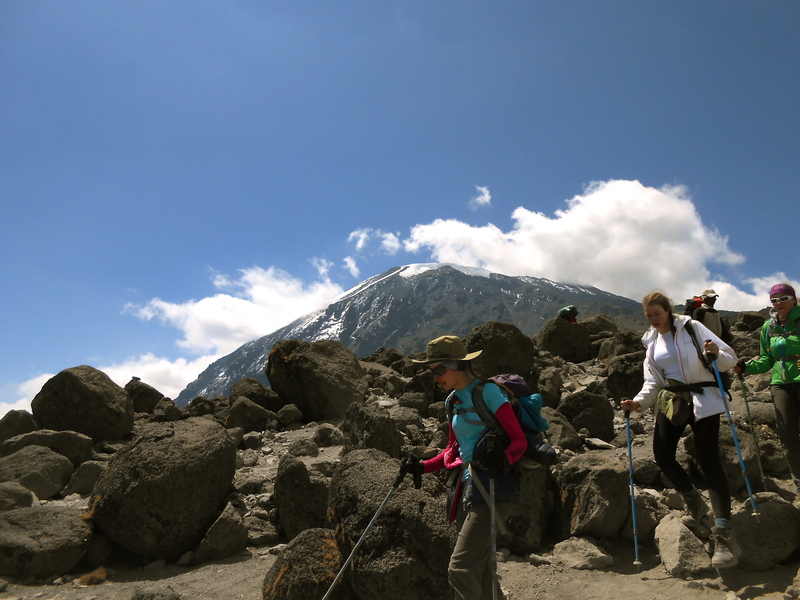 If you’d like any advice, would like to share your own experiences of Kilimanjaro, or just want to say Hi, then I’d love to hear from you in the comments below. Great post! Your pictures are beautiful and it’s nice to hear a real account of your feelings, not everything is always sunshine and daisies haha. Congrats on your climb!! Thanks Kate! 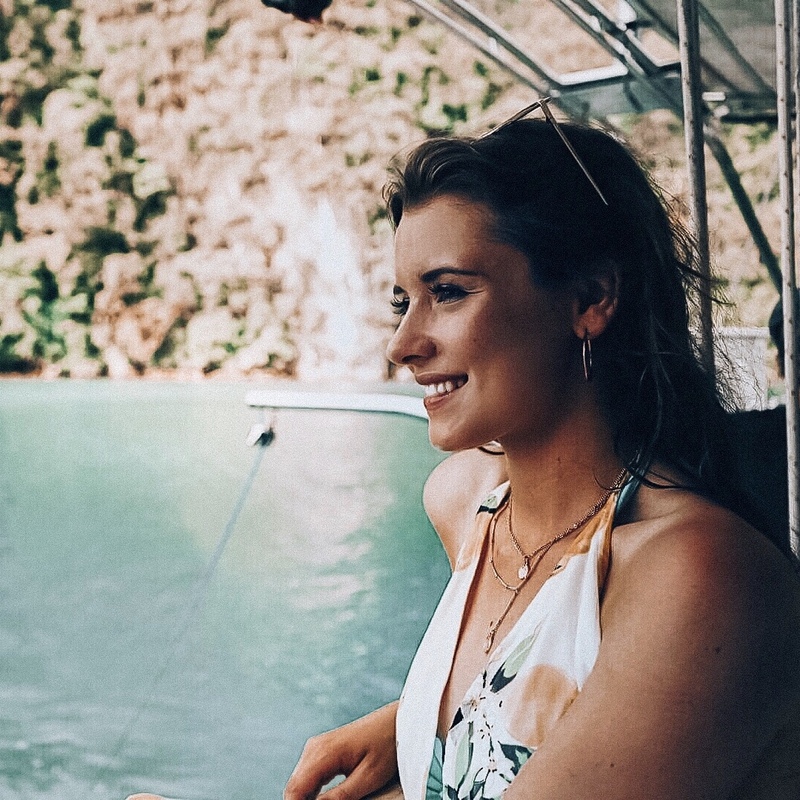 I look forward to reading about your travels when you set off in a few months time 🙂 Good luck!